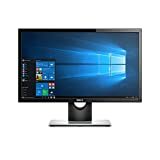 Amazon has the dell SE2216H 22" screen led-lit monitor for $100 with free shipping. Sells for $197+ Highest Price. Deals for $99 Lowest Price. Normally $122+. Superb performance: Images come alive with color-boosting Image Enhance, ultra wide viewing and Full HD resolution (1920 x 1080 max.) in a 16:9 widescreen format.